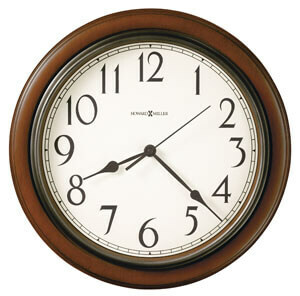 This 15.25" wall clock features a medium brown cherry finished acrylic case with charcoal gray bezel. The dial is off-white with charcoal gray Arabic numerals and spade hands and glass crystal. You will save $15.00 (30 %) on this Howard Miller Kalvin 625-418.